APU is recognized with excellence in promoting cyber security education and awareness, as it was awarded the Gold Medal at the Cyber Security Excellence Awards 2019 – “Best CyberSecurity Education Provider” Category. The selection was done by cybersecurity insiders in partnership with the Information Security Community on LinkedIn, tapping into the vast experience of over 400,000+ cybersecurity professionals to honour the world’s best cybersecurity products, professionals and organizations. 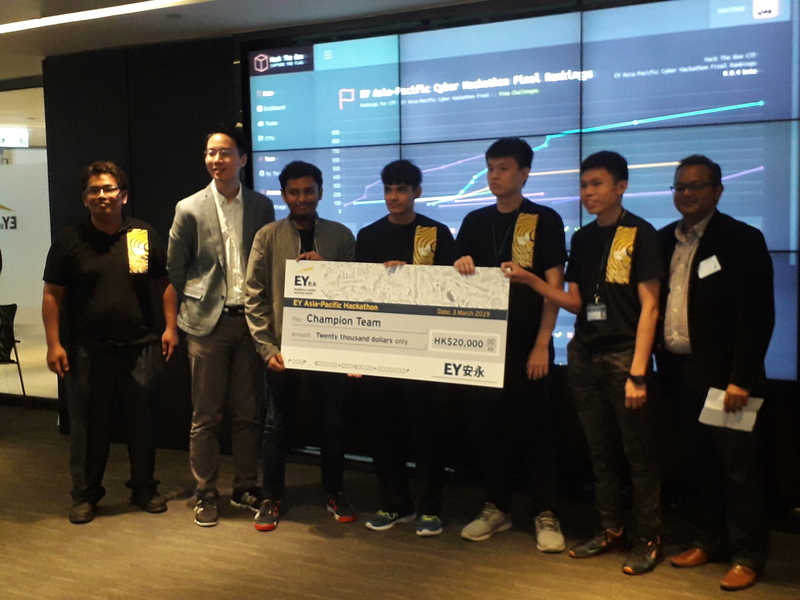 APU’s team FetchOrbis demonstrated outstanding problem solving skills and excellent technical skills at the EY Asia Pacific Global Hackathon held in Hong Kong. 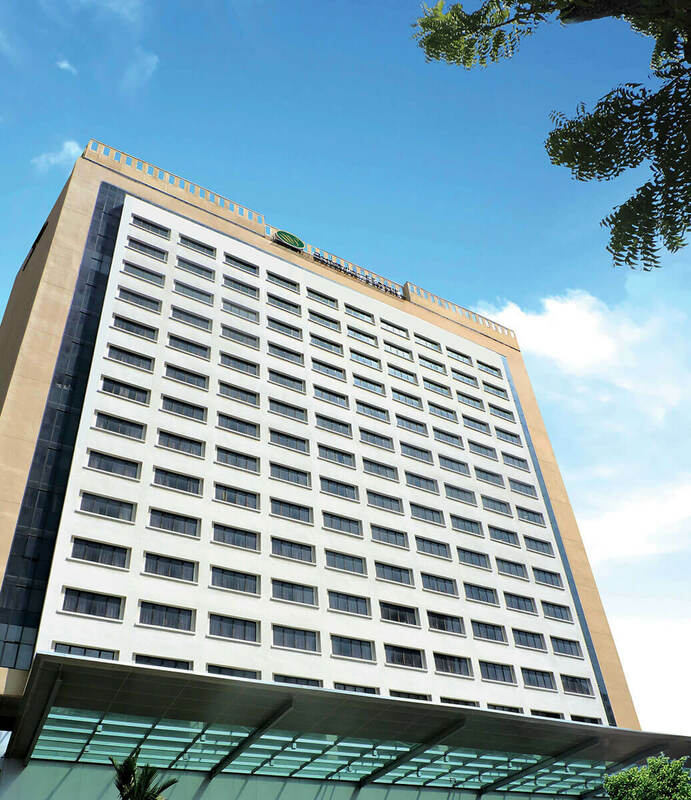 The Asia Pacific University of Technology & Innovation (APU) is amongst Malaysia’s Premier Private Universities. 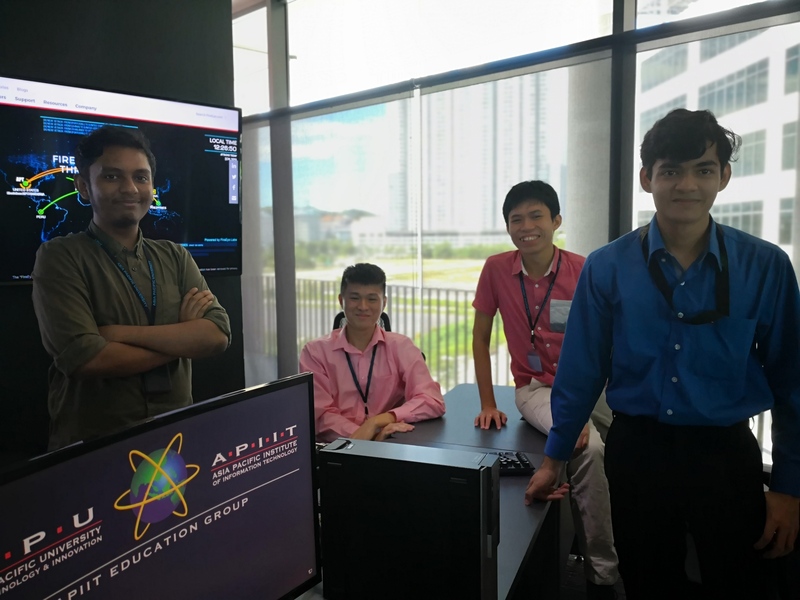 APU offers a wide range of degree programmes in Technology that aim to nurture students into professionals and prepare them for challenging careers and roles in business and society globally. The multi-cultural student community comprises 12,000 students from over 130 countries. APU has earned an enviable reputation as an award-winning University through its achievements in winning a host of prestigious awards at national and international levels. It was announced as among the Highest Rated Universities in Malaysia, being rated at TIER 5 (EXCELLENT) under the SETARA 2011, 2013 and 2017 Ratings by the Ministry of Education (MOE) and Malaysian Qualifications Agency (MQA). Internationally, APU also achieved 5-Stars Ratings at the Quacquarelli Symonds (QS) in four categories – Teaching, Employability, Facilities and Inclusiveness. 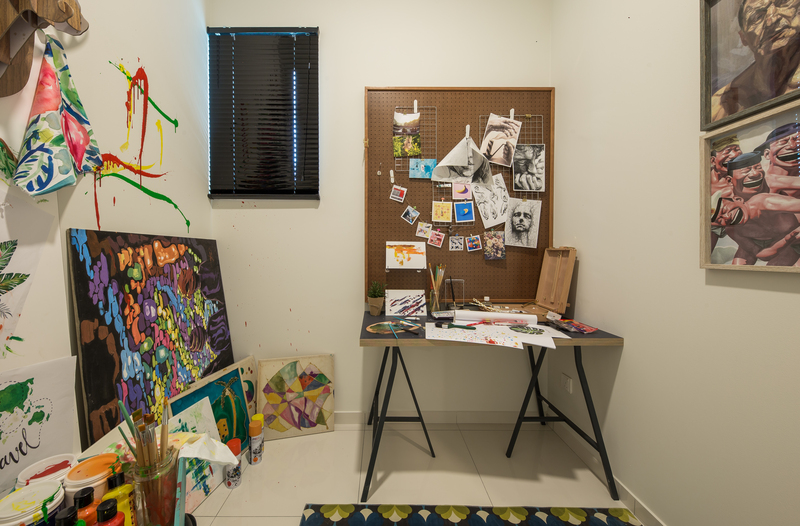 APU houses industrial-grade facilities to provide exposure to students under the real-time environment. 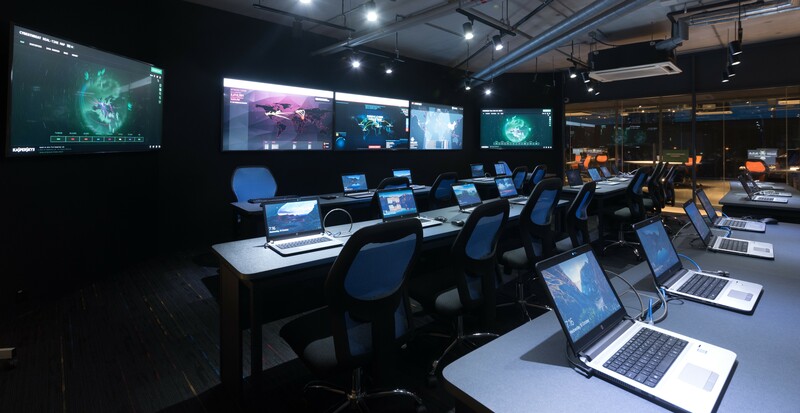 The APU Cyber Security Talent Zone (pic) is the first-of-its-kind in Malaysia that trains students practically to handle cyber threats based on real-life cases. 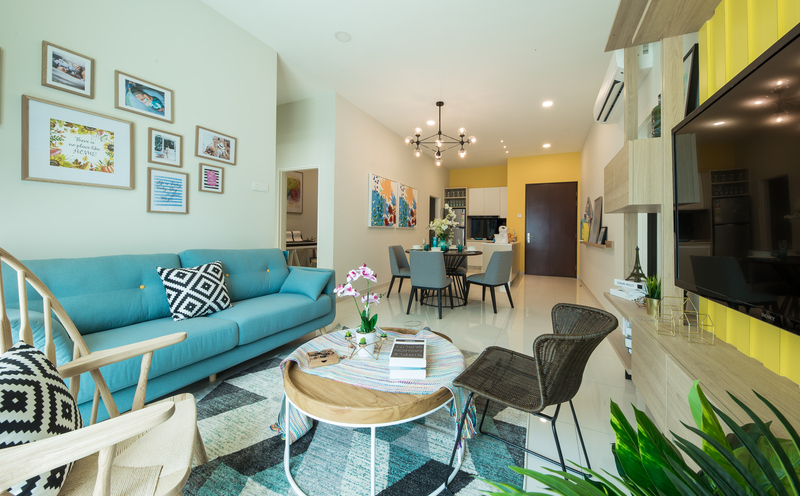 In response to the government’s efforts to stimulate the residential property sector, IOI Properties Group has unveiled a host of home ownership incentives under an unprecedented ‘IOI F.R.E.E. Ownership’ campaign. 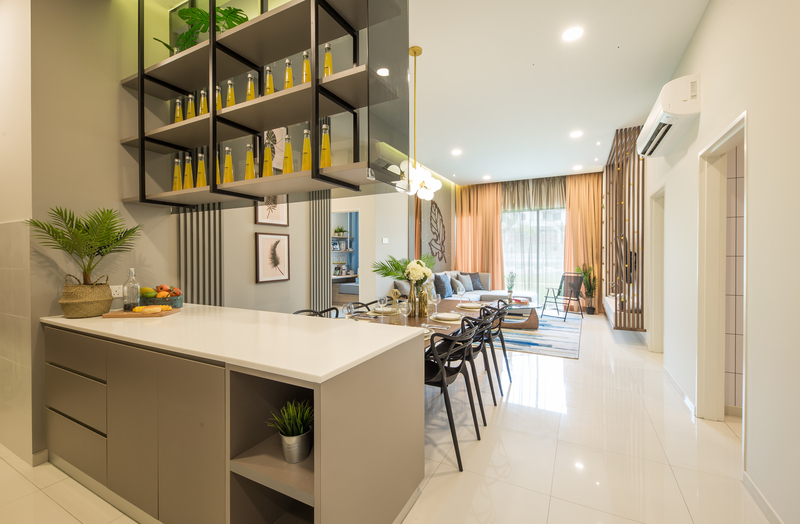 Announced by Finance Minister YB Lim Guan Eng in January 2019, under the government’s Home Ownership Campaign (HOC), buyers are exempted from paying stamp duty on the transfer of property priced up to RM1 million and stamp duty on the loan documents for properties priced up to RM2.5 million. Taking advantage of this, the ‘IOI F.R.E.E. Ownership’ campaign takes things one step further for greater savings. 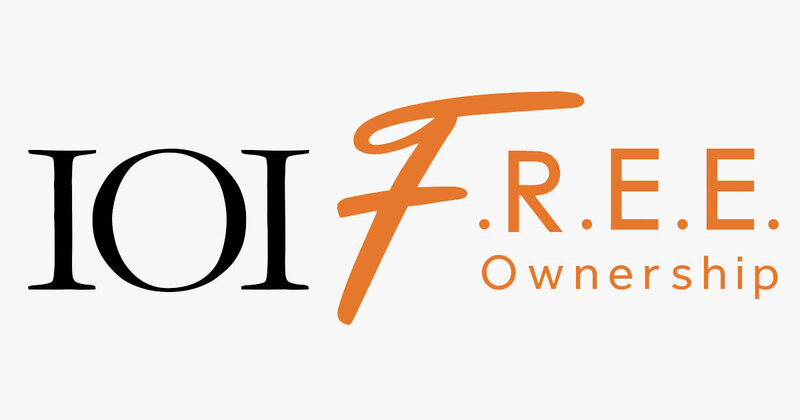 Encapsulating the program’s benefits, the name ‘IOI F.R.E.E.’ is an abbreviation for Flexible financing options, Rebates, Extra rebates and Exemptions on stamp duties. The best time is now to own your dream home! IOI Pay Later Buy Now helps prospective homeowners move forward with the next phase of their lives. 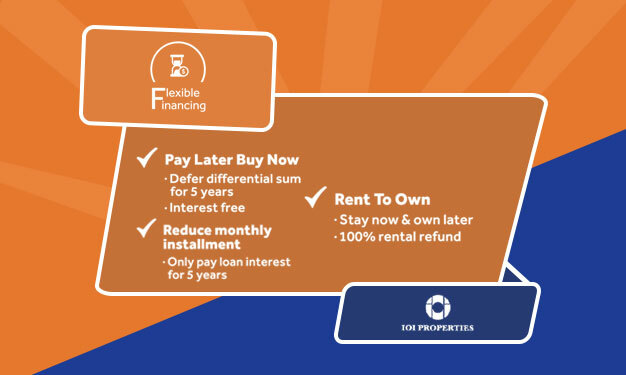 Eligible prospects will enjoy a low down payment and an extended period of 5 years to settle their differential sum payments, free of interest! With the flexibility afforded under this program, homebuyers will get extra cash in hand, and would be able to go ahead with their other plans, such as marriage, investment or renovating and decorating their new home during the 5 year deferment period! Need more cash? There’s more! Free up some cash and reduce your monthly instalment payment by opting to service only the loan interest (without the repayment of principal loan sum) for the first 5 years of the loan tenure. 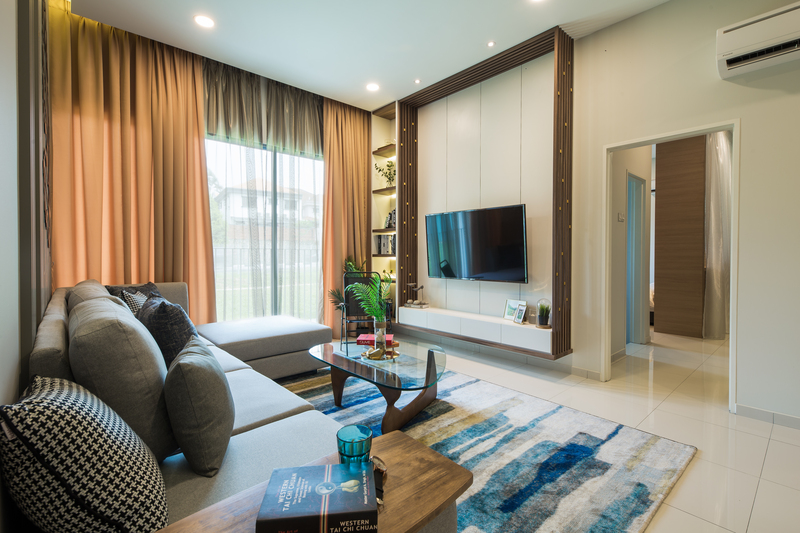 IOI Rent To Own as the name suggests, allows homebuyers to stay in a home of their choice now and own it later, and it also comes with a rental refund of up to 100% that goes towards offsetting the property purchase price. 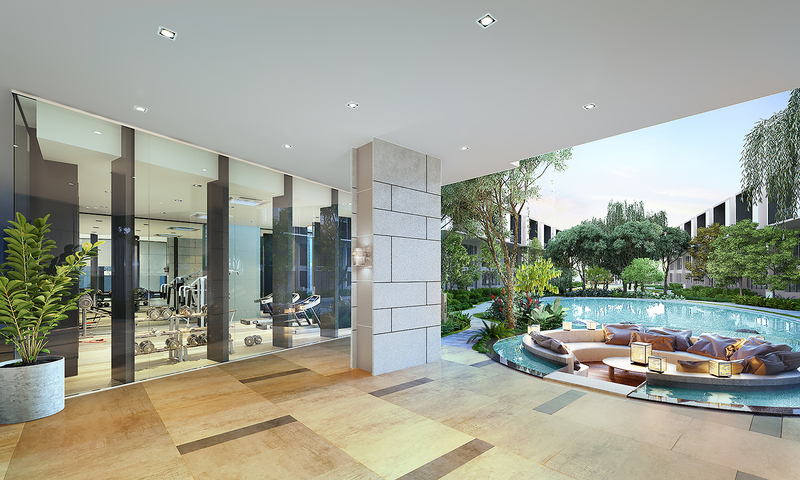 This campaign is specially tailored to give homebuyers a head start in owning their home. Homebuyers are presented with plenty of time to beef up their loan eligibility, save up for a down payment or even try out the development before committing. 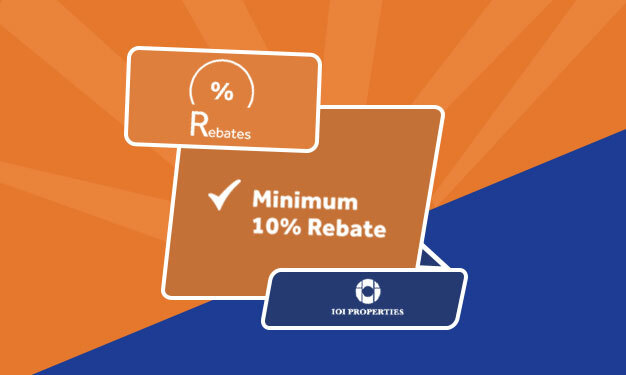 This is the time for rebates and more rebates. 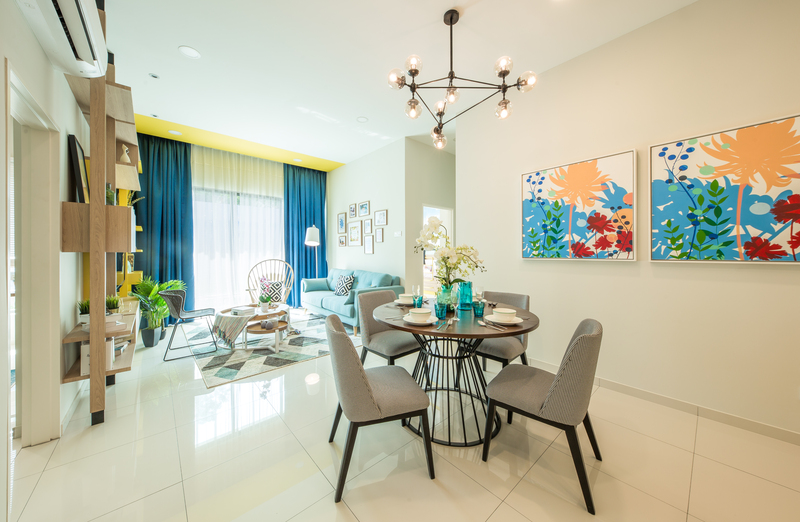 For a start, homebuyers can enjoy a minimum of 10% discount. 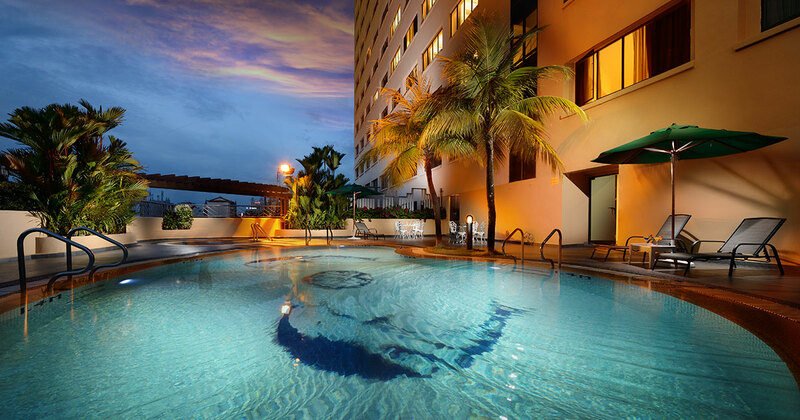 On top of that, IOI Properties has lined up a host of additional rebates for a host of award-winning developments just for this ‘IOI F.R.E.E Ownership’ campaign period. 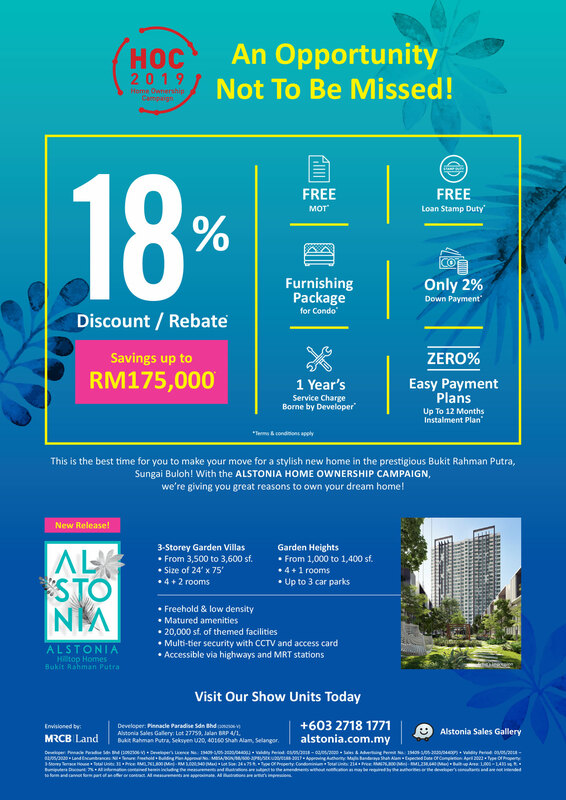 What’s more, IOI LiVO members get to enjoy a further discount on top of the additional rebates! In addition to the government’s waiver of stamp duties for both MOT & loan documents, IOI Properties is covering all SPA & loan legal fees. Collectively, the extra cash in hand, discounts, rebates and free legal fees add up to a hefty and neat savings for homebuyers. KUALA LUMPUR: Pengurusan Air Selangor Sdn Bhd (Air Selangor) has taken initiatives to refurbish 164 service reservoirs and 55 pump houses in stages from 2017 to 2026. 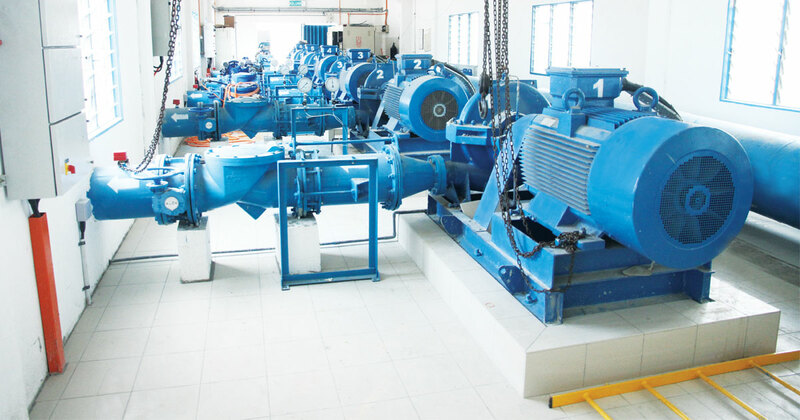 The demand for potable water has been rising sharply with rapid development in the state of Selangor and to ensure the stability of supply in the distribution network, the inactive facilities had to be recommissioned. These facilities were deactivated previously due to deteriorating conditions such as ageing, leaking and rusty tanks, as well as due to vandalism which led to missing critical equipment. 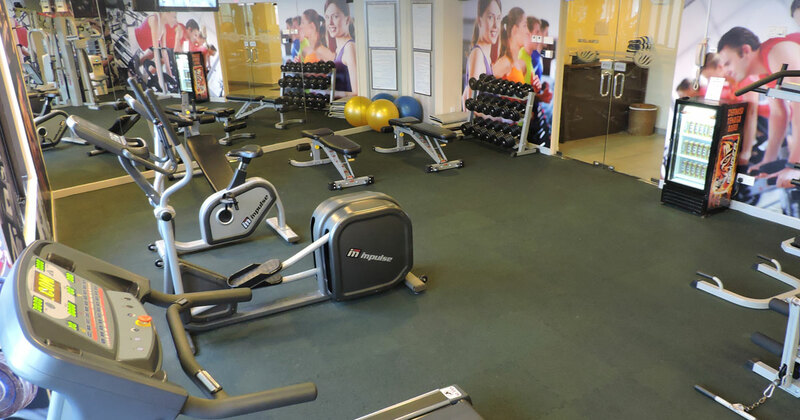 Air Selangor had identified all these inactive facilities and outlined a refurbishment plan in which these facilities were given a new lease of life to provide additional storage. 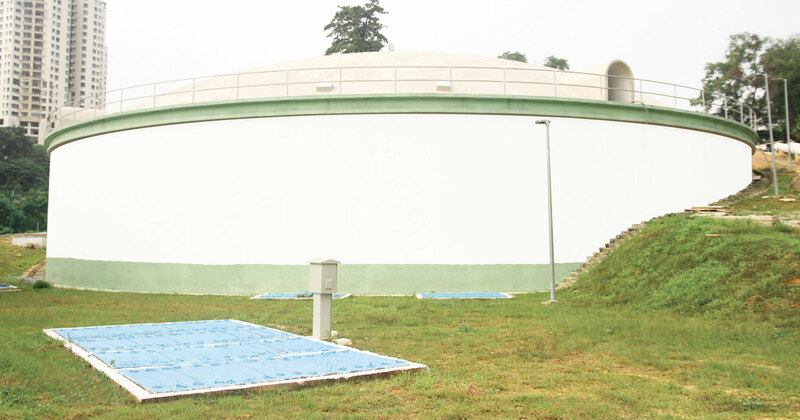 As at December 2018, Air Selangor has carried out the refurbishment of 35 inactive service reservoirs and pump houses to improve the storage volume of potable water in the distribution network. A total of 147.341 million litres per day (MLD) had been added to the distribution system in 2018 with the refurbishment of these water facilities. The refurbishment effort will help to improve the sustainability of water supply, particularly in water stressed areas, where demand is always high. 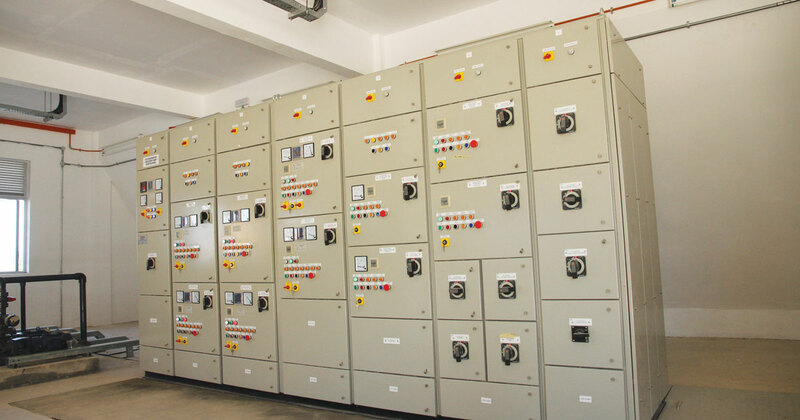 This will also provide more storage reserve in times of water interruption due to scheduled maintenance or emergencies. Simply put, the duration of water interruption for customers can be minimised as these reservoirs act as reserve supplies for the premises in the vicinity. Since 2017, Air Selangor has allocated about RM30.6 million for the refurbishment of these facilities with funding from the State Government grant as well as internal funds from Air Selangor. In 2019, Air Selangor is planning to refurbish approximately 45 inactive reservoirs and pump houses. This is another one of the many initiatives undertaken by Air Selangor to improve water supply service to its customers. Swing your arms, work your legs, move with joy! Imagine what it means literally. Better still, it fires up your team spirit, as a family. And spending quality time together makes every moment special and memorable. Rain or shine, for added convenience and peace of mind, the all-in-one indoor SuperPark makes fun seekers of all ages from all walks of life beg for more. 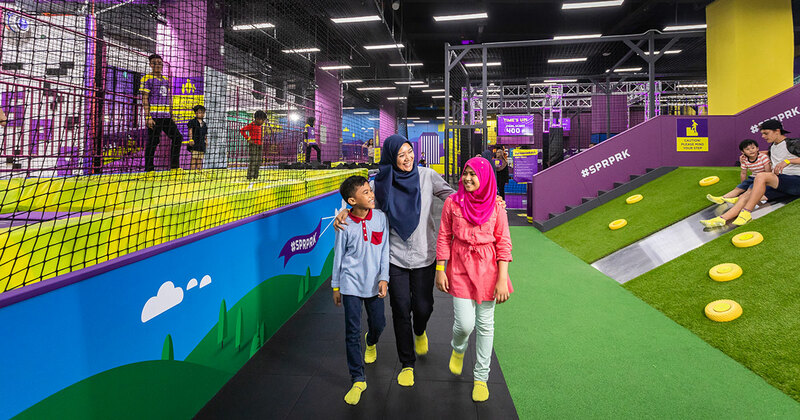 The friendly fun-for-all family recreational sports park originated in Finland features 3 themed areas – Adventure Area Game Arena and Freestyle Hall with 20 activities catering for every taste. The joy of jumping on a trampoline is beyond words. It’s not just for kids. Mums and dads will get contagious with plenty of laughter too. And for the icing on the cake, experience the one of its kind digitally enhanced rock climbing with augmented gamification challenge to double up the fun. Itching to show off your fluid skateboarding moves? The Skate and Scoot park is yours to conquer. Beyond the endless fun, participants will also gain health benefits such as improved muscle elasticity, acrobatic flexibility, anaerobic agility, physical fitness and motor skills. Oh yeah, for gymnastic buffs, you are welcome to play your tricks in Gymnastic Area of the Freestyle Hall. The list of challenging-yet-fun activities goes on. Test your ascending skills with SuperClimb on a colourful climbing panel in a supervised environment. Meanwhile, the “man vs machine” RoboKeeper seems to be able to stop just any shot you try to score. Fancy a swing like a flying fox that zips through the air? Just hold on tight and slide off like a flying carpet. The exhilarating fun continues with mountain sliding and tube slide. Remember to scream out loud as you slide all the way from the top. It’s good for both your physical and mental health. From sliding to fast track, the shrieking laughter just keeps roaring. Race up the Pedal Car Track for your entire family. And you get to tone your legs and butts too. 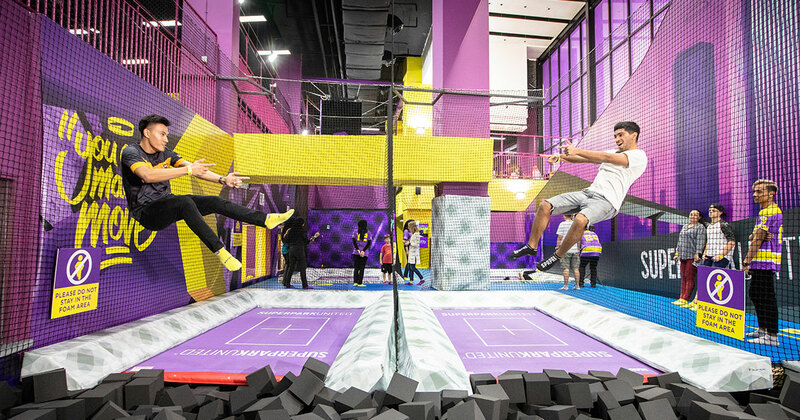 Be prepared for an exhilarating experience when going through the Kids’ Adventure City! 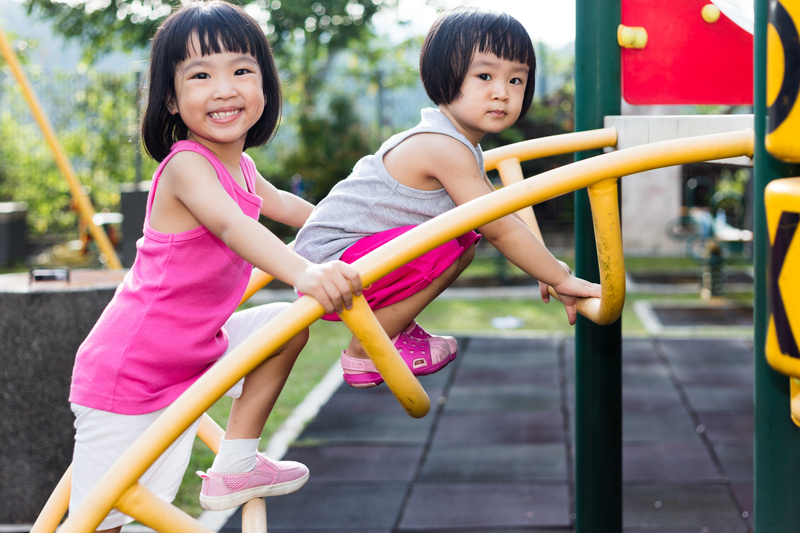 The combination of climbing equipment, towers, and tunnels builds children’s coordination and boosts their confidence. Parents are definitely welcome to join their kids for more “catch-me-if-you-can” moments. SuperPark is no ordinary adventure playground. 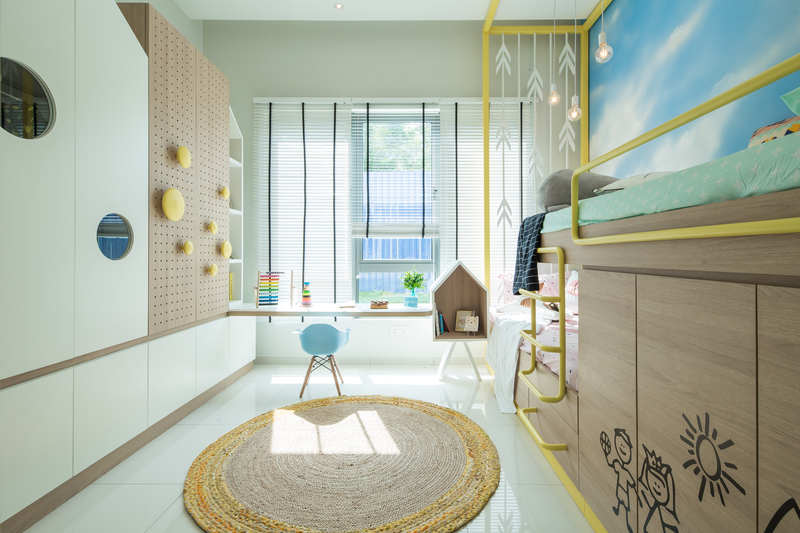 It is specifically designed to empower family members of all ages and sizes to have fun and foster bonding through play and movement in an inspiring and friendly environment. It’s a unique, purpose-built indoor activities park with Finnish ingenuity to delight families with young children including young teens, outdoor enthusiasts and active adults. At SuperPark, parents will find the spirit of being young-at-heart soaring like never before. Children learn new skills through different fun-filled challenges at the same time. And make new friends along the way. SuperPark is designed with all-day-happiness and creativity in mind. 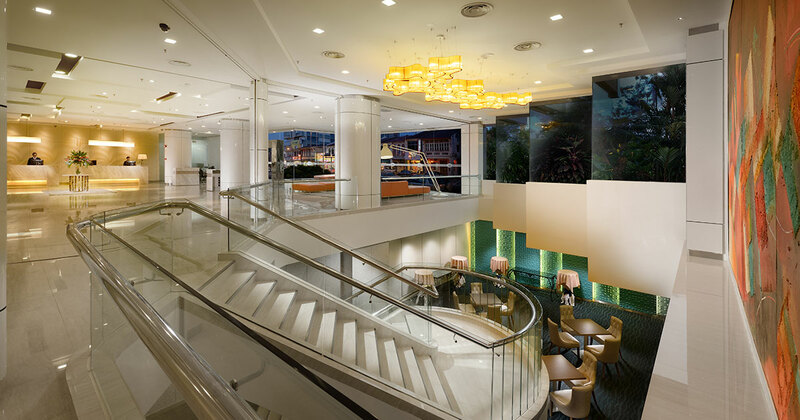 Thinking of celebrating your birthday in style? Make it as boisterous and electrifying as you wish. 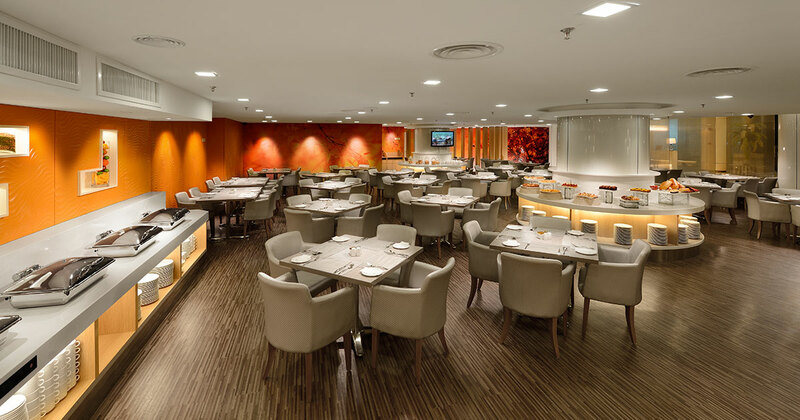 There are six party rooms with different themes complete with exciting platters to suit your preferences. Looking for something more than that? 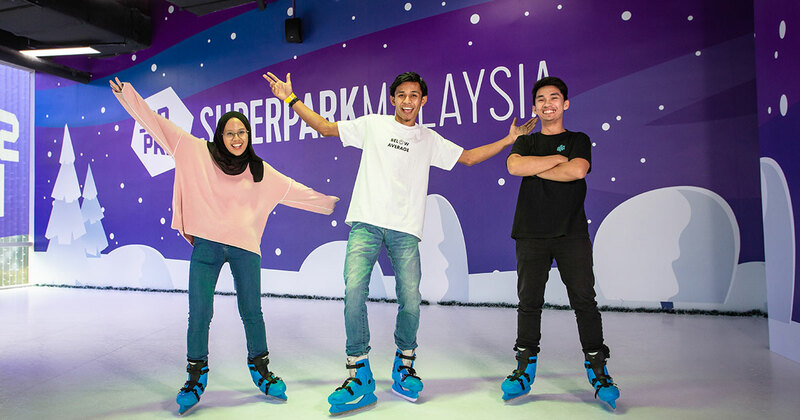 SuperPark caters to school groups and sports clubs as well. You name it, SuperPark can make it happen! Yup, the fun is unstoppable. The joy is in the journey. That’s the philosophy behind the joyful play at SuperPark that champions family participation as its DNA. Again, the human body is the engine for all SuperPark activities. No motorized rides. You play and exercise while foster bonding at the same time. That’s a win-win experience. 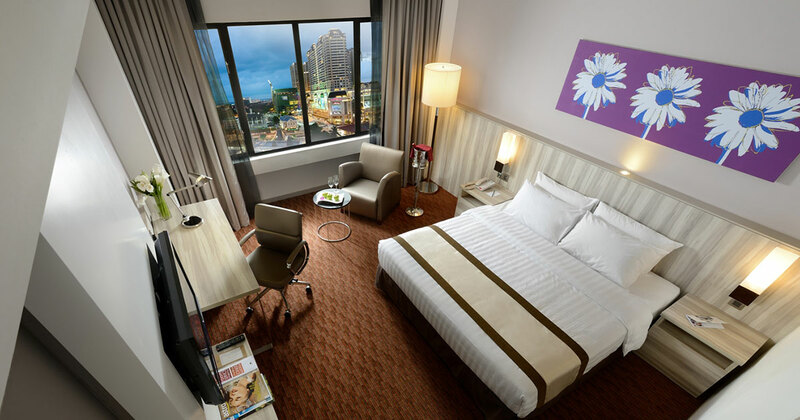 And only for Malaysiakini readers, you get to enjoy the exclusive 2-for-1 offer. The “MALAYSIAKINI2FOR1” promotion is valid until 12 March 2019. For online booking, please use the promo code when you book 2x One-Day Ticket (Super Day) (original price RM70 each) / 2 x One-Day Ticket (Regular) (original price RM50 each); for walk-ins, simply quote “MALAYSIAKINI2FOR1” during ticket purchase to enjoy the promotion. Other terms and conditions include limited quota on a first-come-first-served basis which is valid for the “One Day Ticket (Super Day)” and “One Day Ticket (Regular)”, the offer cannot be used in conjunction with any other promotions/offers/coupons, SuperPark reserves the right to revise the offer without prior notice, and in the event of any dispute, SuperPark reserves the right of final decision.